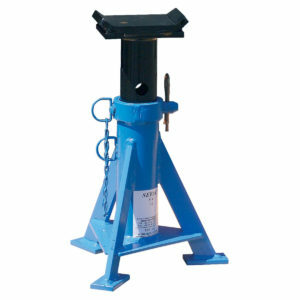 The TBE 522 support stand has a unit capacity of 14 tonnes and is a low stand. 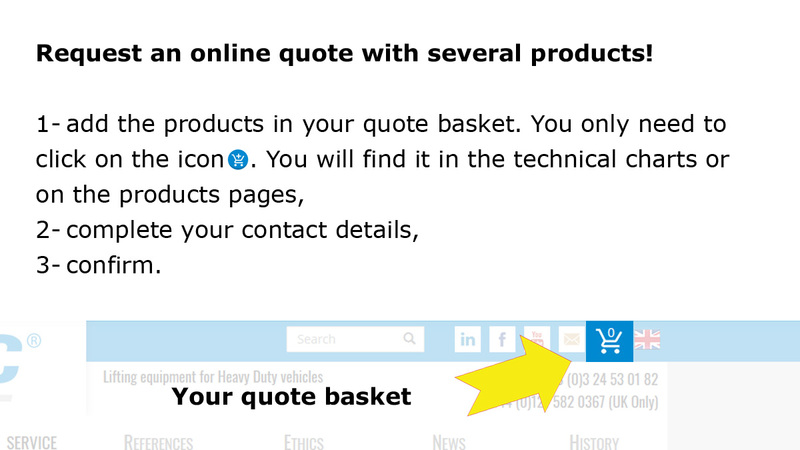 It’s traditionally used for holding and maintaining heavy goods vehicles in a lifted position during repair of brakes, bearings, steering or tyres. 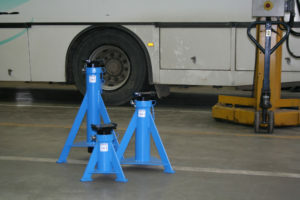 Tractors, buses or coaches can thus be supported via an axle in an intermediate position (490 – 745 mm). 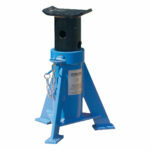 Support stands permit retaining a safe lifted position that is obtained by hydraulic jacks. From a safety viewpoint, the use of stands or trestles is necessary since hydraulic or oleopneumatic lifting systems are not optimal over long periods. 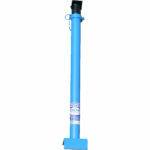 The risk of even small leaks cannot guarantee the safety of a hoisted position during maintenance operations. 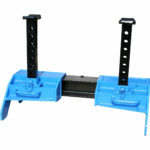 A support stand allows you to employ your lifting equipment on other tasks. Their use complements an oleopneumatic jack, a wheel dolly, a pit-edge hydraulic jack or king pin press.